Waikoloa Dry Forest Initiative each year throws a huge festival to bring people from all over the island and many visitors to Waikoloa to see their beautiful dry forest preserve and learn from various community groups about ways they can take action for the environment. HWMO set-up a booth this year with information on wildfire preparedness (including many Ready, Set, Go! action guides) and goodies for the kids (plus, a pachinko game and a “guess how many chili beans in the jar” game). Many visitors took native plants home with them. HWMO booth with keiki playing pachinko. It may have been freezing cold up in the saddle between Mauna Kea and Mauna Loa, but that didn’t stop HWMO and other organizations committed to protecting the environment from educating youth from all over the island. 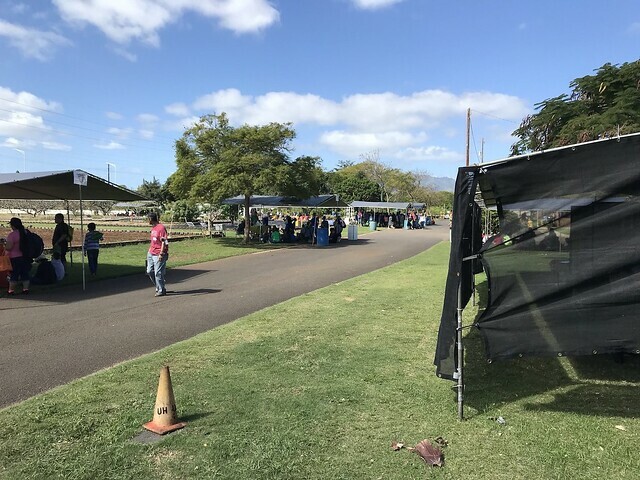 HWMO set up a booth at the Pohakuloa Training Area on April 20th to teach keiki of all ages about the mauka to makai (summit-to-sea) impacts of wildfire. Pablo Akira Beimler leads students through an activity to learn about the mauka to makai impacts of wildfire. 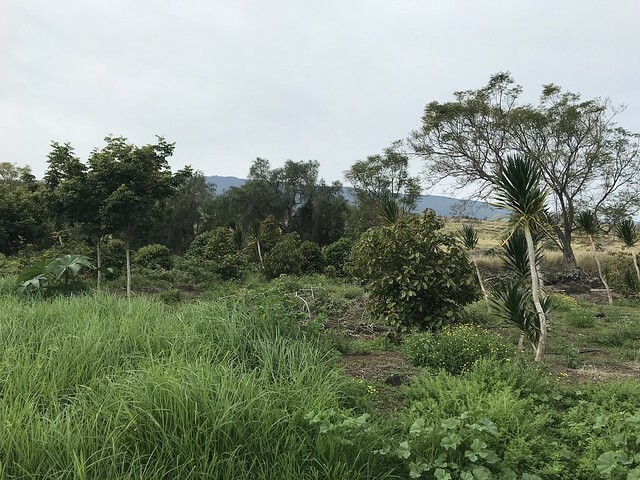 Our dry forests are so critical to the health of our leeward areas in Hawaii. It’s no wonder that so many organizations working to protect the dry forests came together on March 9th at Puuwaawaa to outreach with hundreds of students. Puuwaawaa was formed over 110,000 years ago and is home to a rich diversity of native plants and animals — which are all at risk of devastating wildfires that have burned through the area before. HWMO held a booth to talk about the mauka to makai (summit-to-sea) impacts of wildfire with smiling and interested keiki from all over the island. HWMO having a blast with Ocean Warriors students while teaching wildfire preparedness lessons through the ReadySetGo! program. A brushfire quickly grew into a large one during the Wiliwili Festival, most likely started by a lightning strike from several days ago. This year's Wiliwili Festival was an eventful one (as it always is!) The festival, put on by our friends from Waikoloa Dry Forest Initiative, hosted hundreds of residents and visitors who wanted to learn more about how to conserve the precious dry forests of Hawaii. HWMO set up an informational and activities booth. A group of Malama Kai Ocean Warriors students stopped by to join us for outreach help, while learning the ins and outs of the ReadySetGo! program. They also spent time creating beautiful works of art as part of a statewide wildfire prevention bookmark contest. Our booth was set-up in the workshop tent, so we also witnessed a number of great presenters from different organizations. Waikoloa Fire Management Action Committee's Wayne Awai presented on the village's Firewise efforts and successes. 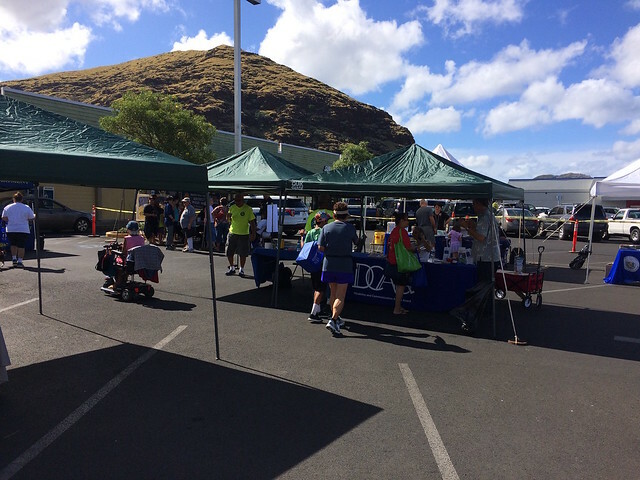 Hundreds of keiki visited the many outreach booths, including HWMO's, at this year's event. We traveled to Oahu to talk to over 500 students about wildfire and its impacts on our watersheds, ocean, and critical protein source (fish) due to post-fire erosion and runoff. 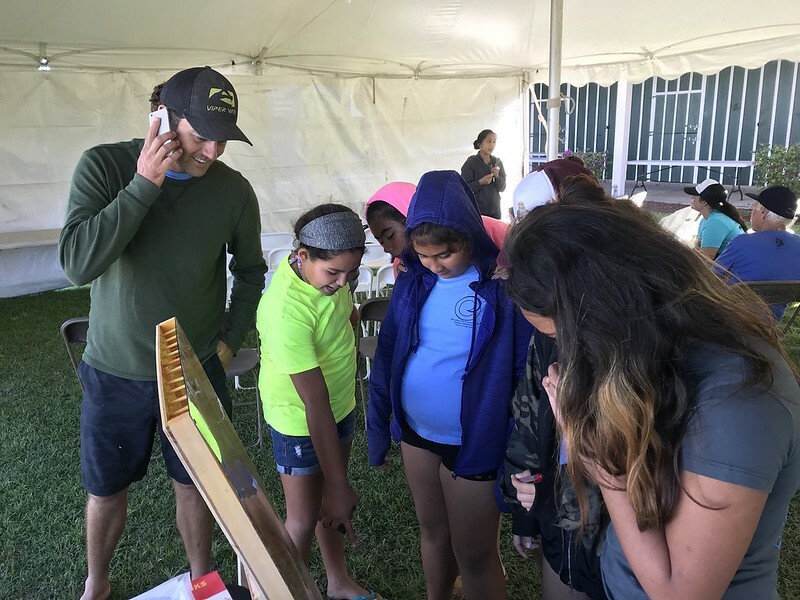 On February 9, the keiki came from various schools in Central Oahu to the Pearl City Urban Garden Center as part of University of Hawaii CTAHR’s Agriculture and Environmental Awareness weekend. We had so much fun being around such engaged and enthusiastic youth — they were also quite knowledgable, as well. Even within a short 5-minute span with each class, the students learned a lot about how wildfire impacts our watersheds and they were able to connect the dots right away. They also quickly pointed out that the best way to cut off this cycle was to stop it at the source: to prevent wildfires! Mahalo UH CTAHR for inviting us to join this year! 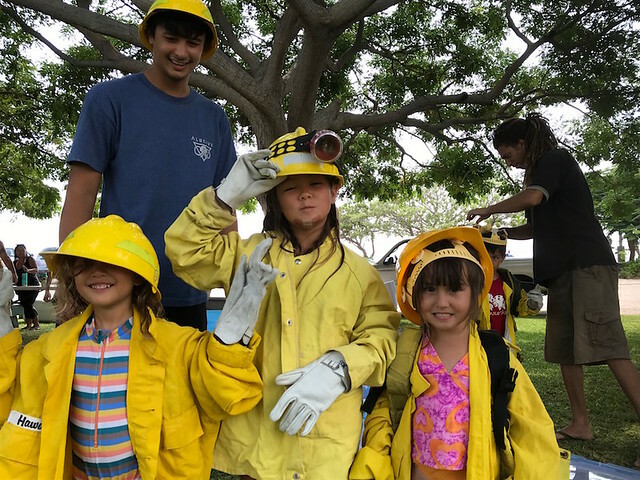 Keiki having fun dressing up as wildland firefighters at Na Kilo Aina Nohona. 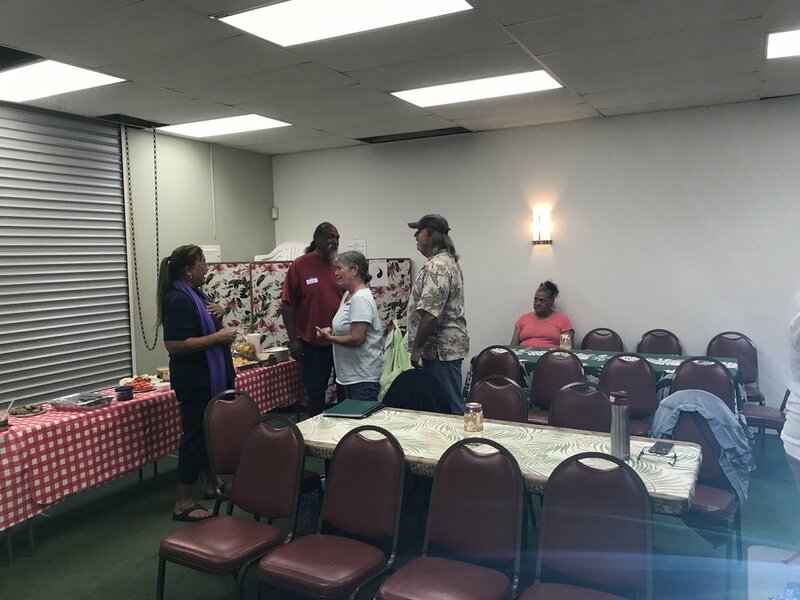 On October 12, HWMO staff members Elizabeth Pickett, Melissa Kunz, and Orlando Smith set-up a wildfire prevention activities table at Na Kilo Aina in Honokoa. 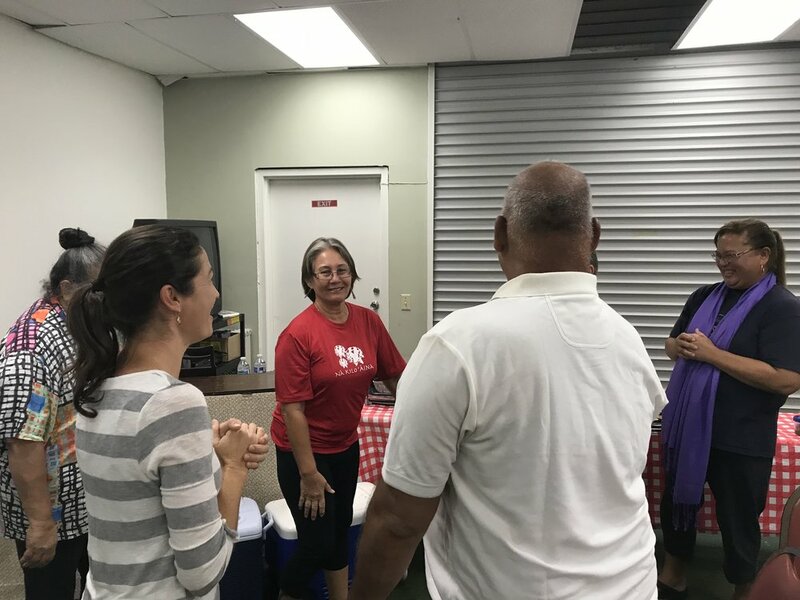 Various other community organizations, agencies, and businesses joined in on the fun by hosting groups of keiki to learn about stewardship of the aina. 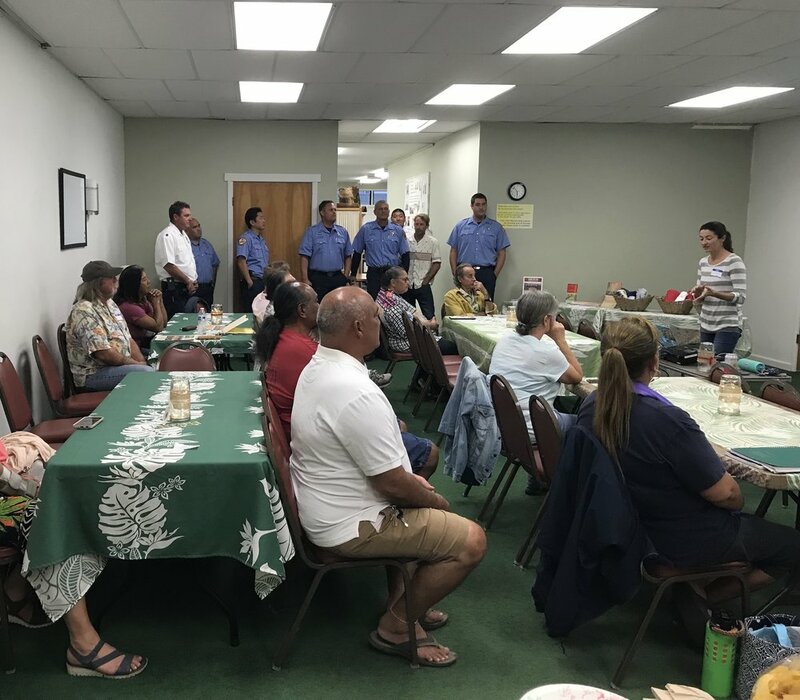 The event was hosted by Honokoa, a Firewise Community in Kawaihae. For the 5th year in a row, they held the camp which brought in dozens of bright-eyed participants. At HWMO’s table, keiki visited to learn about wildfire prevention measures they could take with their families. They also got to dress in real wildland fire gear to experience what it would be like to be a wildland firefighter. Keiki drew creative wildfire prevention signs, as well. Since 2016, the community has been a certified Firewise Community with the help of HWMO. They have done an amazing job creating a culture of fire awareness in the community and have even taken large steps towards greater overall hazard resilience. For example, they are in the final stages of completing a large pavilion that can serve as an evacuation shelter during emergencies. Thank you Kailapa Community Association for inviting us to the camp and for all of your efforts this year in reducing wildfire risk! 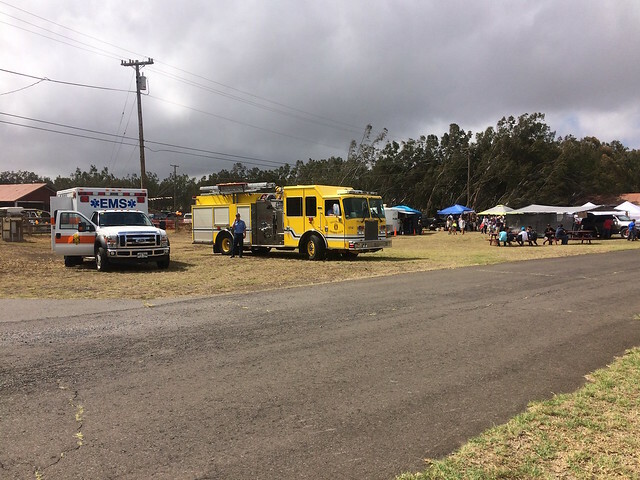 Waiʻanae Coast Disaster Readiness Fair booths. 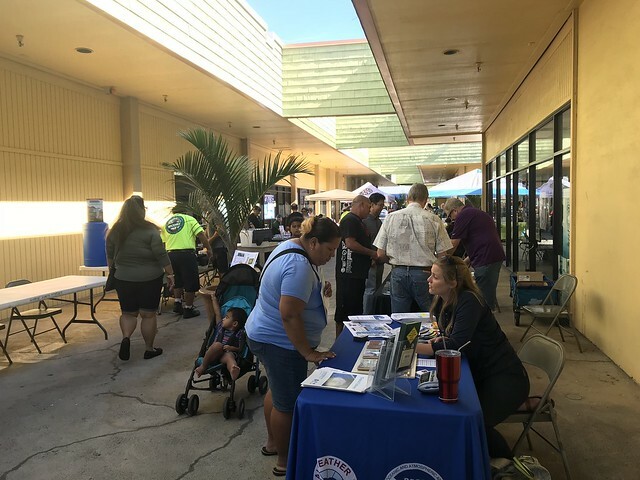 HWMO was invited by Waiʻanae Coast Disaster Preparedness Team to set-up an outreach booth at this year’s Waiʻanae Coast Disaster Readiness Fair at the Waiʻanae Mall. 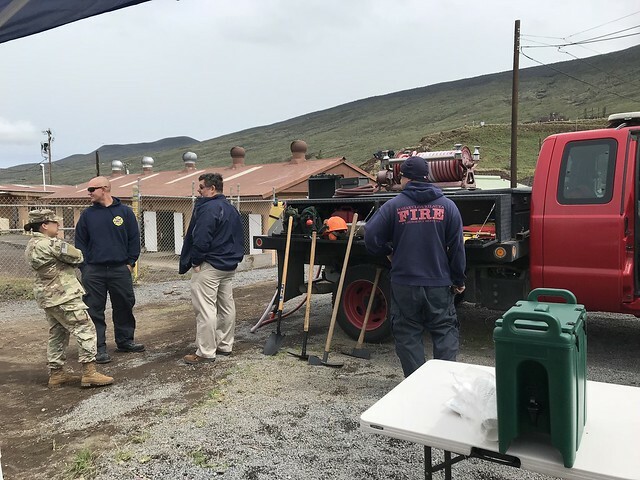 The June 3rd event hosted a variety of different wildfire readiness organizations, some of whom also held workshops. 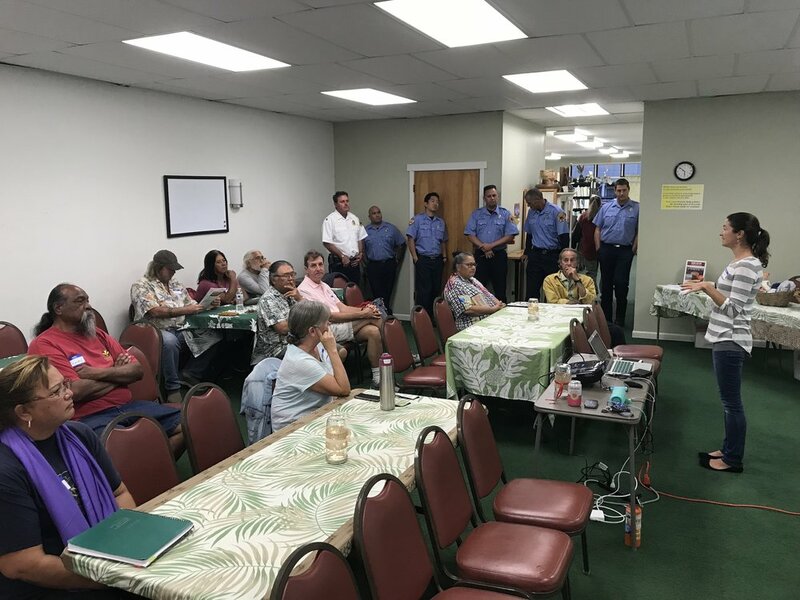 We spoke to many different residents from across the Waiʻanae region and handed out Ready Set Go!, Wildfire Lookout!, and Firewise Communities materials to educate people on wildfire readiness. Some visitors also shared their close encounters with wildfires. Throughout the day, strong trade winds kept us all on high alert, not only because fire danger is greater when they are blowing, but also because our handouts and outreach materials were at risk of blowing away. Indeed, at the tail end of the event, our tent was no match for the winds and tipped over, knocking out flyers over. Thankfully, emergency responders were all over the place and were quick to collect the materials speedily and in coordinated fashion. A small testament to why we love being a part of the emergency management field!